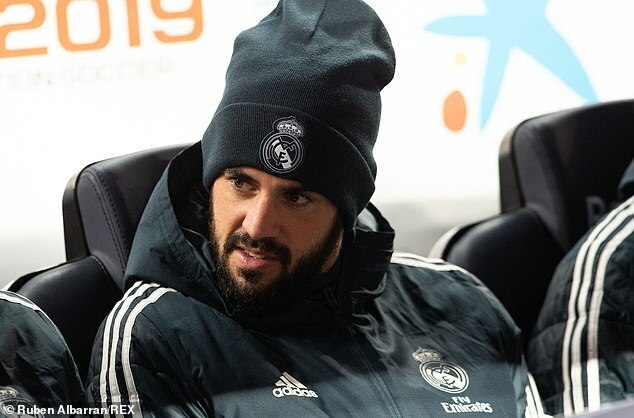 Real Madrid and Spain midfielder, Isco Alarcon, has asked for more game time at the club in the event that the midfield maestro has not yet started a Spanish La Liga game since the appointment of boss Santiago Solari. The 26-year-old has played only for 189 minutes in 12 league games under the new boss since the sacking of Julen Lopetegui in October, scoring no goal in the process. The development comes after comments by former Real midfielder Ruben de la Red, who replaced Solari at Real’s B side’s helm. Isco was also an unused substitute in a Copa del Rey first leg’s 1-1 draw against Barcelona at Nou Camp.